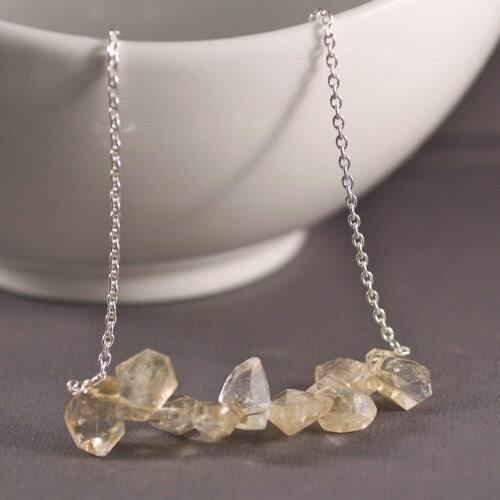 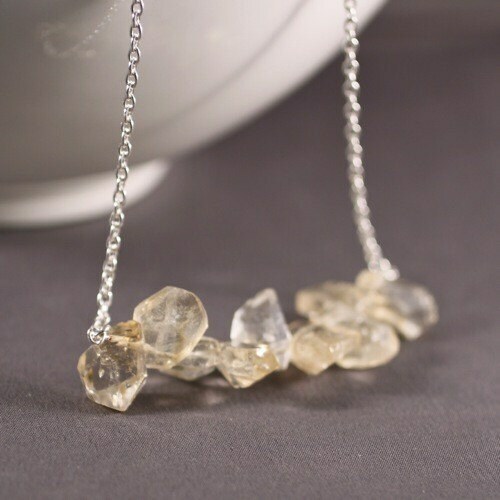 Necklace Ingredients: Beautiful natural cut Citrine gemstone drops strung in a perfect manner and linked sterling silver oval cable chain. 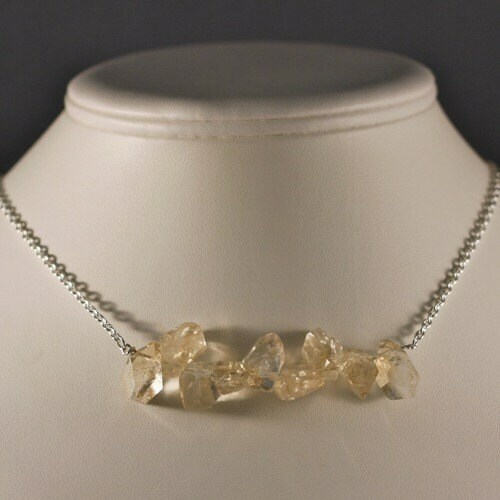 Necklace measures approximately 16" from end to end. 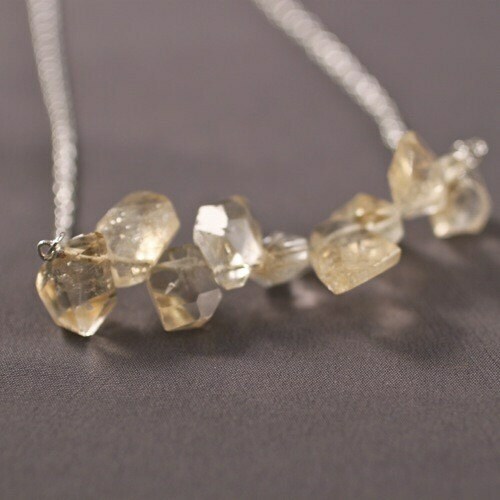 If you would like a different length just let us know!